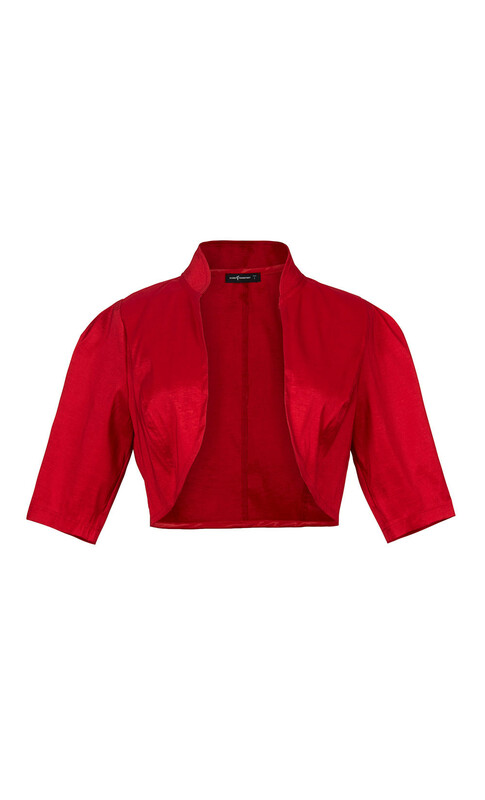 This tailored short bolero jacket will give a spectacular touch to your wardrobe. 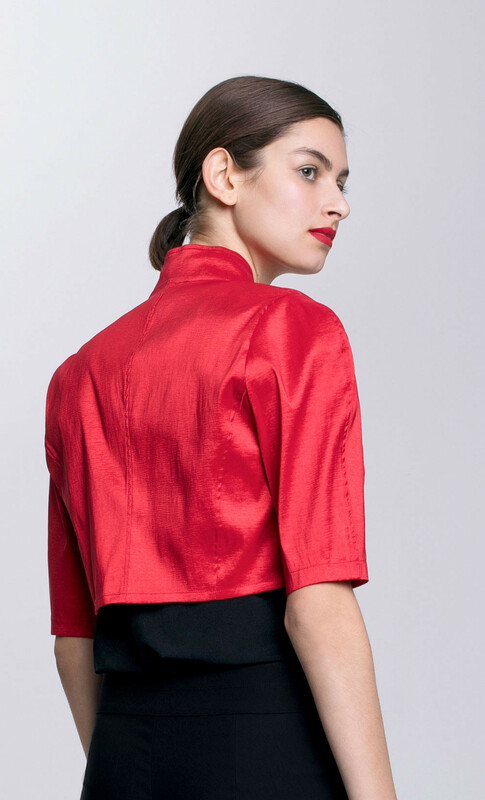 It's cut from slim-fitting jersey and has short sleeves and a raised neckline for that elegant feel. 70% Viscose, 25% Nylon, 5% Lycra.